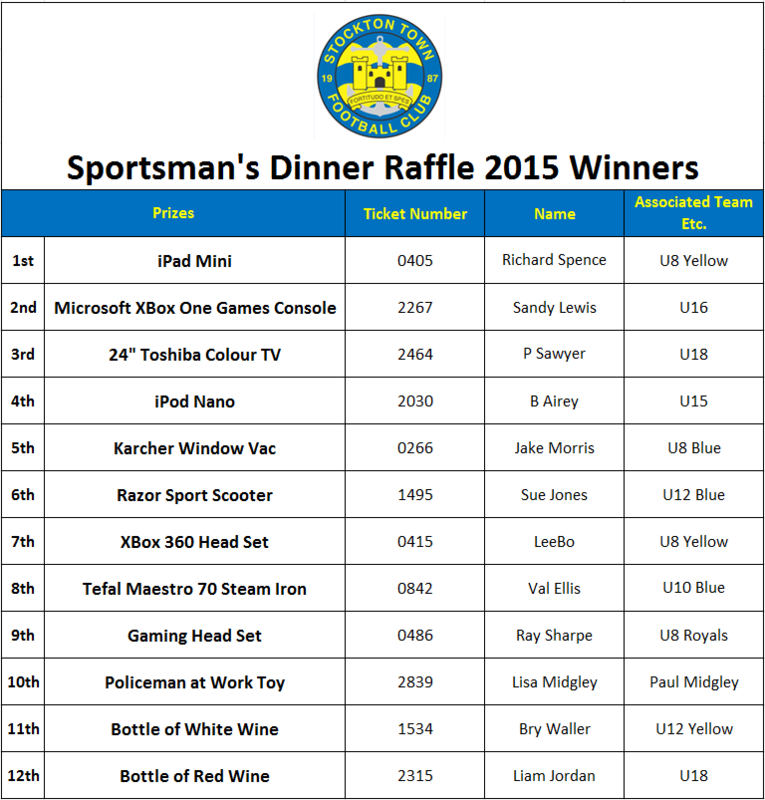 Stockton Town Football Club annual Sportsman’s Dinner Raffle has been a great success due to your exceptional contribution and continued support from all STFC teams. Below is the list of winning tickets. We would like to thank all who purchased tickets and congratulations to all who won. All money raised will go directly into the development of Stockton Town Football Club which will benefit all the boys and girls of STFC. If you are a winner or they are associated to your team please can you get them to contact me at the earliest opportunity?